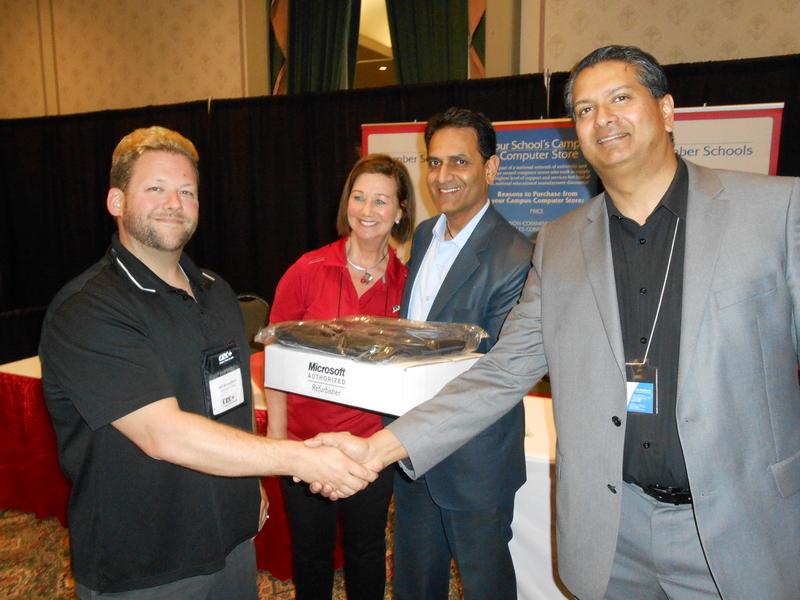 CNB Computers presents Jeff Broughton Manager of New Technology at Algonquin College in Ottawa the winning prize for their computer draw at Campus Retail Canada Show. CNB Computers Inc. is a market leader in refurbished computers . With sales approaching 50 million dollars a year, CNB Computers is experiencing exponential growth in a market that demands quality ,value, and exceptional customer service.